If you had $100 million to donate for cutting edge research in the fields of solar, wind, and/or nuclear energy, how would you distribute it? 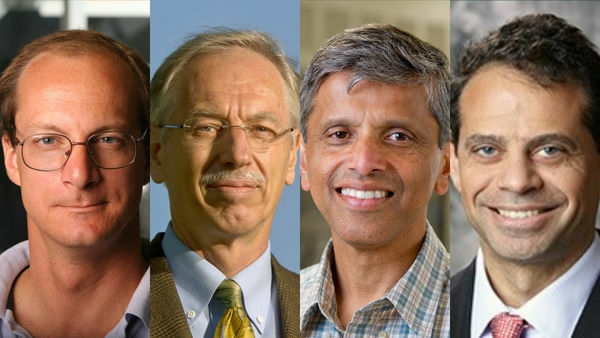 Join ND Energy as we host a debate between three prominent Notre Dame researchers who will attempt to persuade you to give them your virtual vote. An energy business executive will serve as moderator and fact-checker while offering an update from his vantage point. Be sure to bring an electronic device so that you can cast your vote. Pizza and drinks will be available. Khalil Shalabi is the newly appointed Executive VP for Strategic Initiatives and Transformation with the Lower Colorado River Authority (LCRA). Formerly VP for Market Operations and Resource Planning at Austin Energy and the New York Power Authority, Shalabi has experience in the business of solar, wind, and nuclear. He graduated from Notre Dame in 1988 with a BS in Mechanical Engineering before following up with a Master’s of Science in Mechanical Engineering from Columbia Engineering. He also earned an MBA in Finance and Management from the NYU Stern School of Business. 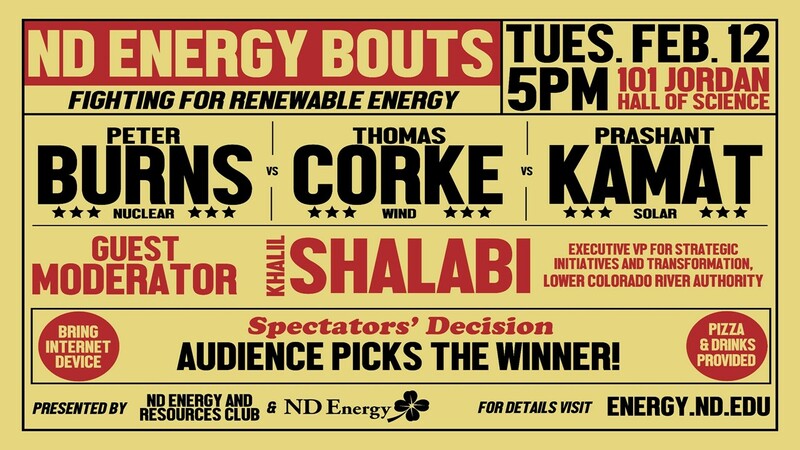 Co-sponsored by ND Energy and the Notre Dame Energy and Resources Club.